Start Making Money Online From Your Mobile Device Today! Make Money Online; No Matter Where You Are! Spaces Are Limited, Register Now! Complete Simple Tasks Daily To Earn Points That Can Be Redeemed For Discounted Gift Cards! Start Making Money Online Today! Registration Spaces Are Limited! Learn How You Can Earn Points By Completing Tasks You Do Every Day! Earn Money Online Using Gift Back Card! Complete Simple Tasks On Your Phone, PC, or Laptop! Earn Points and Redeem Them For Gift Cards. Ways To Earn Points Fast! Over 30 Merchants To Choose From Including Discounted Amazon Cards, Fuel Cards, and Prepaid Gift Cards! Over 100 Apps To Download For Points At Any Given Time! Over 750 New Tasks Are Added Daily! Check Back Every Couple Of Hours To Earn Points As Quickly As Possible! Register Today & Receive 1,500 Bonus Points! Get Discounted Gift Cards For Places Like Amazon At Up To 10% Off! We Offer Up To 33% Higher Payouts Than Those "Other Guys"
On Average We Have More Then 66% Tasks To Complete Than The "Other Guys"
We Offer 100% Quicker Payouts and Turnaround Times! Our mission is to show you how to discover free gift cards once you earn points for completing simple online tasks. Discover FREE gift cards. Watch your savings grow, stress fade and fun explode! Register today and receive 500 1,500 bonus points, receive a referral code and watch your points grow as you gain 250 for every friend you refer!We offer a low minimum to cash out instantly with only 10,000 points! With a 1,500 point registration bonus, all you have to do is download a few apps, or complete a few simple tasks and you will be in a position to cash out in under a half hour! Earning points at Gift Back Card is as simple as opening your phone and tapping to make cash. You can register, complete a few tasks, and be in a position to cash out immediately if you desire. You can also save your points and earn more to be able to cash for larger discounted rewards! Where else can you get an Amazon or eBay gift card for 10% off? You decide when to cash out your points for a gift card(s) of your choice! In most locations and by checking for new offers through the day various times, with Gift Back Card you can easily earn points comparable to a wage at or above $16.00 per hour by completing offers for points and cashing the points out for discounted gift cards! Instead of using your cash or credit card to make a purchase, you are able to use a gift card you got for FREE by completing tasks in your spare time! Gift Back Card gives you the opportunity to earn FREE gift cards for viewing images, watching videos, giving answers, shopping online and more! Make Money Online Anytime On Your PC, Laptop, or Mobile Phone – No Resume Required! Make extra cash from home. Making more money is not something many people will pass up. It is possible to earn extra money without leaving behind the comforts of home. No second job and definitely no resume required. This opportunity is for everyone. You can even get paid to complete tasks while you are on the go! Since time is money, we make it easy to cash in on your spare time. Whether you are riding in the car, waiting for an appointment or just not sure what to do but want to be productive Gift Back Card will help you. You can make money online with Gift Back Card without a phone as well! We are the money making app you need to make extra money without investing your own money. Just load up our app, browse for a task that you have time to complete and receive points per verified competed action. You do not have to have a mobile phone to participate all you need is access to the internet and a web browser! Get Points Just For Logging In Each Day! Refer Friends to Gift Back Card & More! Earn points for answering surveys and giving your feedback and influencing to brands. Points are rewarded when you view images and watch popular videos. Receive points for completing a download for an app. When you discover amazing special offers points will be added to your Gift Back Card account balance. Points can be earned when you make in-game purchases. Watch the points stack up and cash out! Spend and repeat. Cash out for a $10, $25, $50 or $100 discounted gift card! Each verified task is awarded points. Points are redeemed for free gift cards and discounted gift cards to your favorite retailers. No need to pay for your card, just redeem your points! Try your luck on the Lucky 7 cards. Each card you buy could have up to 777 free points per card. Reveal a 7! Lucky Stars is a scratch card you can redeem for points. You can thank your lucky stars when you are the winner of up to 1,000 free points! Empty out your piggy bank and add up to 1,000 free points to your Gift Back Card point balance when you redeem the Piggy Bank scratch card! 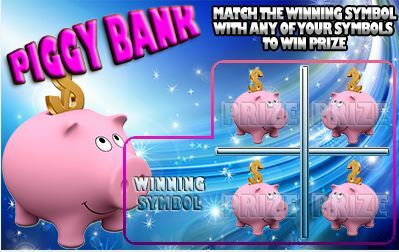 Win up to 1,000 free points per card with the Play Bingo scratch card! B-I-N-GO! Find the buried treasure. 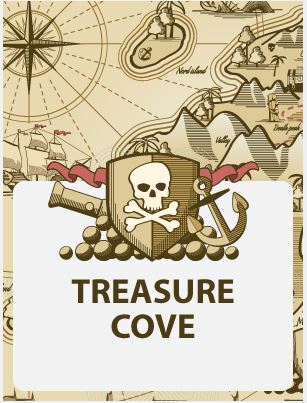 X marks the spot in this Treasure Cove adventure. Win up to 1,000 points if the treasure is revealed on your card. Earn points per verified task and redeem free gift cards or a scratch off card for a chance to win even more points! Free points! 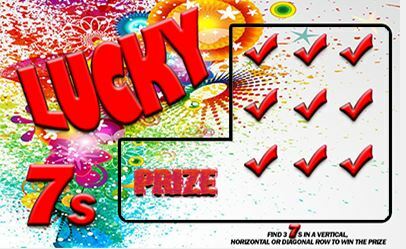 Win up to 7,777 points per card if you are a winner on the Double Ruby 7’s scratch card! Just use your points to redeem a scratch card and reveal if you are a winner. We love to connect and have fun. So, keep a look out for special codes and exclusive offers for more free points! Fun does not have to cost. Use your free gift cards while you are out having fun for gas, food or shopping. Find free thing to do! Try free products in exchange for your review, get free gifts on your birthday and attend free activities for adults and kids! It feels good to be able to just have a good time and not worry about how much money you spent. Spending $0 on a fun filled weekend with the kids can mean you get more fun and more money. Watch your savings grow, stress fade and fun explode! Use coupons to save money, so you can have more of your own money! There are coupons available for just about everything and everywhere. Redeem rewards for completing simple online tasks- no daily limit. Discover FREE gift cards are now that you know how! Join the Web’s fastest growing make money from home App. Join today for free and receive 500 1,500 bonus points! This is a limited time offer, so be sure to register now! Subscribe Today and Get Access To Email Exclusive Offers to Earn Points! Join our mailing list and starting earning bonus points only available to registered subscribers!